Everything that Italian cashmere brand Loro Piana does in the world of elegant clothing has to meet the most demanding standards and the man who gives the company its razor sharp edge is Pier Luigi Loro Piana, who has learned most of what he knows about being successful behind the wheel of a sailing boat. [dropcap size=small]T[/dropcap]he weaving of warp and weft to make cashmere is a delicate process, with a lot at stake. Small errors in combining threads that have an average diameter of 14.5 microns can ruin thousands of dollars worth of fabric. These thoughts were surging through my head as I watched Pier Luigi Loro Piana trying to manoeuvre a 112-foot yacht over waves that had a swirling white mane of foam at their head and neck. 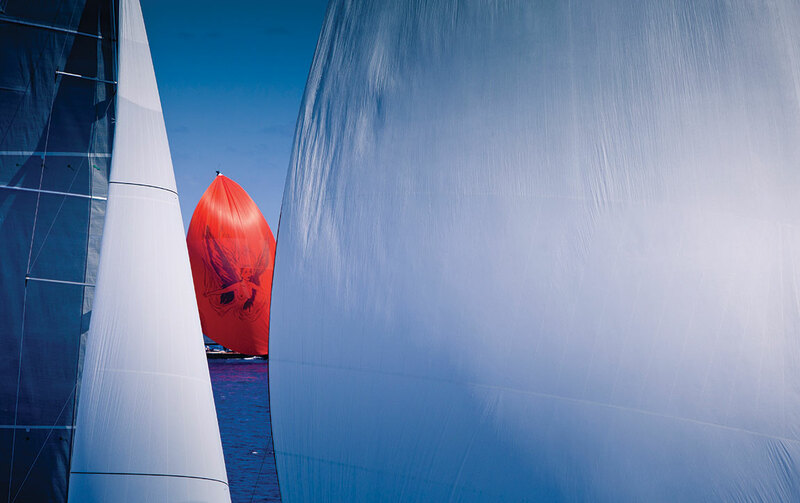 The boat, named Billy Budd, was built by the Dutch yard Royal Huisman and was launched in 1994. It’s a heavy beast, with an aluminum hull, a beam of almost 24 feet and a keel that knifed through the water at a depth of 12 feet. And it’s not Loro Piana’s usual craft, My Song, which lay thousands of miles away in Italy, where it was being rebuilt. And so, on a weekend last March, the man who (with his brother Sergio) runs what is arguably the world’s finest manufacturer of cashmere and other luxury fabrics was struggling. 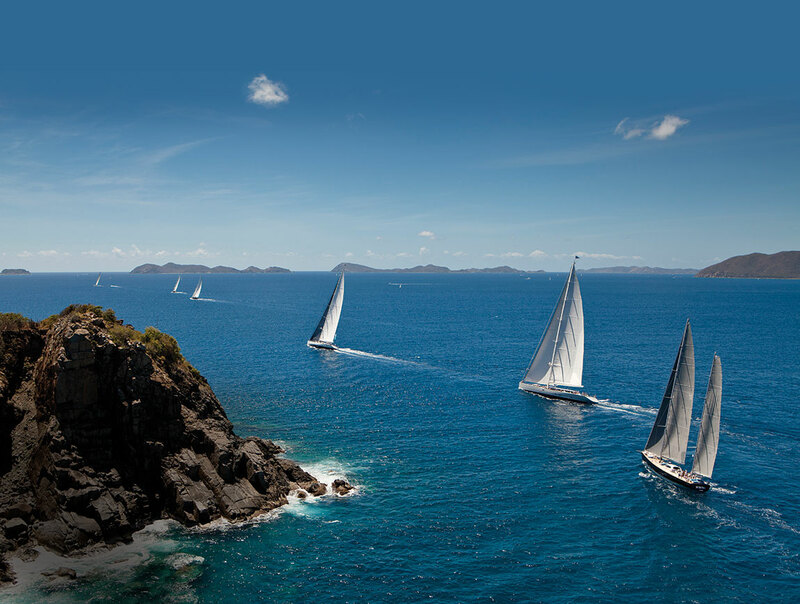 To the left lay rocks, to the right a fellow competitor in the Loro Piana Superyacht Regatta and Rendezvous, Virgin Gorda edition. The gallant seafarer, who, when on a yacht, has the air and look of Amerigo Vespucci, the Italian explorer who gave his name to America and proved that Brazil was not in Asia (contrary to Columbus’s view) set his face to the wind and dug in behind the wheel. 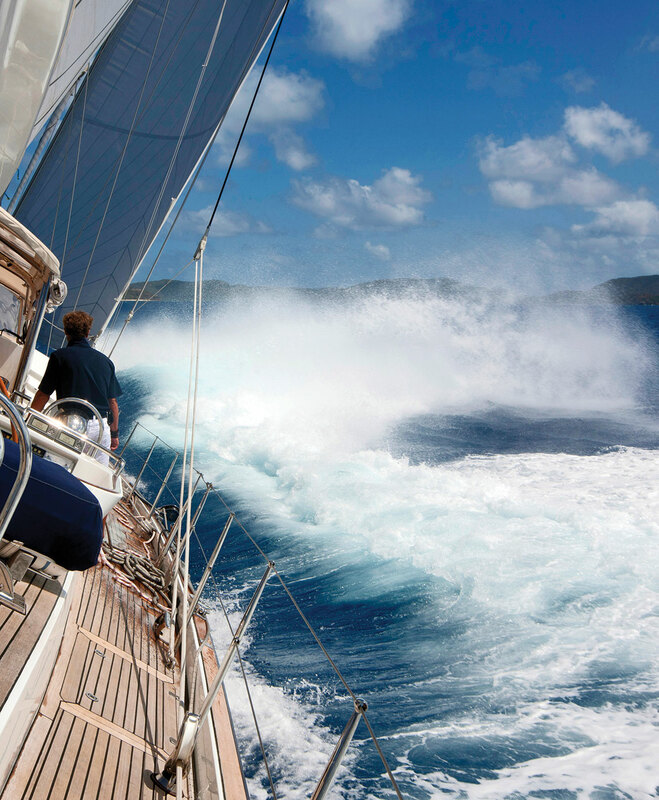 Loro Piana’s goal was to miss the razor sharp volcanic strata on the port side and slip past the rival to starboard. In order to achieve this goal he needed to gybe, and that meant turning the weighty stern of the Billy Budd through the wind, so that the mainsail crossed the center of the boat while the jib was pulled to the other side. This would probably have been an easy task on My Song, which Loro Piana knows like the back of his muscular hand. But the Billy Budd is a boat with all the agility of a sleepy elephant. And its jib had been behaving like a naughty dog all week, pulling in all the wrong directions whenever it was asked to do something useful. And so the command to gybe came before the gib team was ready and the sails collapsed into a luff, which is a little bit like the sailboat equivalent of detumescence and with similar effects. Disappointed faces. A slowdown in proceedings. A feeling like it might be time to go home. In truth, luffing, like a temporary softening of resolve, can happen to anybody. What separates the men from the boys is the response. And Loro Piana’s was instructive, a clear indication of the kind of drive and passion he has and the dedication to perfection that he has used to guide his family’s company to the pinnacle of the luxury world. First, he made sure everybody knew that luffing was not acceptable. Then he adjusted trim and got the vessel back to speed in a matter of seconds. For most people on the yacht, especially the VIP guests sipping champagne in the luxuriously appointed cabin, it seemed as if nothing had happened. It was only those who were watching Loro Piana’s eyes, seeing the intense competitive fire within them, who would have realised that for a few seconds they had seen the deep inner truth of the man, that for him anything he does matters and he will never accept second best. And that’s why he spends so much time in a sailboat. As Loro Piana (known as Pigi to his friends) talked about his personal Zen of sailing the early morning sun made diamond sparkles on the surface of the turquoise water as it lapped around the new Yacht Club Costa Smeralda (YCCS) Virgin Gorda, built by the Aga Khan and making a sister club to YCCS Sardinia. • The oldest company document in existence dates to 1812, which makes this year the 200th anniversary, sort of. • Until the 1992 Olympics when the company made a jacket for Italy’s horse riding team it was largely a textiles operation that made an occasional scarf. • The company’s first retail store in Milan opened in 1999. • Pier-Luigi and his brother Sergio are the sixth generation of the family to enter the textiles business. • Loro Piana’s operations in Peru have helped to save the Vicuna, a relative of the Llama from extinction, part of the company’s dedication to conservation. • Since 2000 Loro Piana has awarded a prize for the world’s finest bale of wool each quarter, which produces just enough fabric for 50 suits.